CUPS — the Common Unix Printing System — is an open source print spooling and scheduling system. One of the interesting aspects of CUPS is its filtering system, which can reconstitute print job data between formats. For example, rasterizing PDF graphics for output on non-PostScript printers. 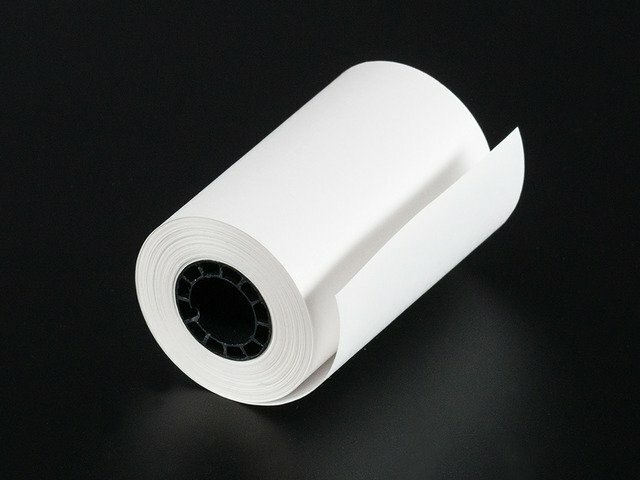 Turns out there’s a CUPS filter for thermal printers similar to those Adafruit offers. With a little setup, it’s possible to have these producing razor-sharp graphics unlike anything I’ve seen from a thermal receipt printer before. Much nicer than our improvised Python library! This guide is based on a tutorial by Stewart Russell, with some changes and additions to work with Adafruit’s various thermal printers. Some prior Raspberry Pi experience is assumed — downloading the OS, writing an SD card, basic system and network configuration, etc. You can search the Adafruit Learning System for related guides if any of this is unfamiliar. Download the latest version of Raspbian if you haven’t already. This guide requires the full version of Jessie — not the “Lite” edition — as some of the setup requires the graphical user interface. You’ll also need a keyboard, mouse and monitor attached. 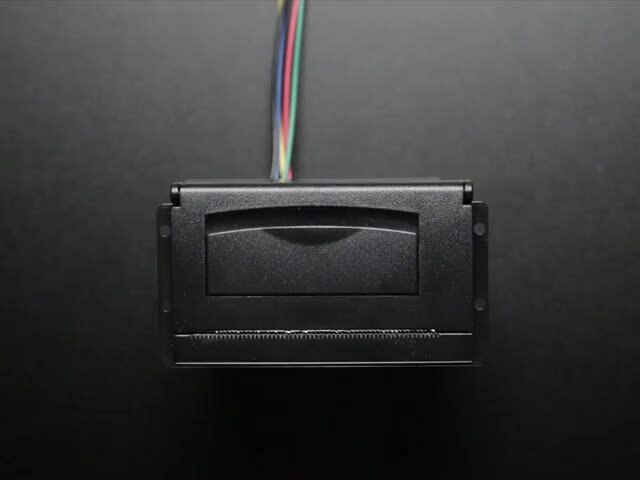 Write the OS to an 8GB or larger SD card, insert in the Raspberry Pi and power it up. After a minute or two you’ll see the Raspian desktop. From the “Pi” menu at the top left, select Preferences→Raspberry Pi Configuration. Or Linux guru types might be more comfortable opening a terminal window and running raspi-config from the command line. If using a TTL (not USB) printer: Under “Interfacing Options,” select “Serial.” Turn OFF the login shell over serial, and ENABLE the hardware serial port. NO and YES, respectively. This is vital! On "Localization" tab, set up Locale, Timezone, Keyboard, etc. Set up any other options to your liking, click “OK” and then reboot when prompted. After rebooting, you can set up networking. Ethernet is usually a simple matter of plugging in a cable. Wireless networking is more involved and beyond the scope of this guide…you can search for other guides on this topic, or many networks are easily accessed by clicking the network icon in the status tray at the top-right of the screen. All the Adafruit thermal printer varieties are bare units; they don’t have a DC barrel jack for power. Use a Female DC Power Adapter to connect to a 5V 2A power supply (our 5V 4A and 10A supplies can also work, if you already have one around, but do not use a 12V adapter). During initial testing, you can press a couple of breadboard jumper wires into the printer’s JST power plug; the red wire is +, black wire is –. This is not very durable though…once you’re confident everything is working, you can remove the wires, clip off the JST plug, strip the ends and screw them directly to the adapter’s terminals. For TTL printers (not USB): connect GND, RX and TX to the Raspberry Pi GPIO header in the positions shown. 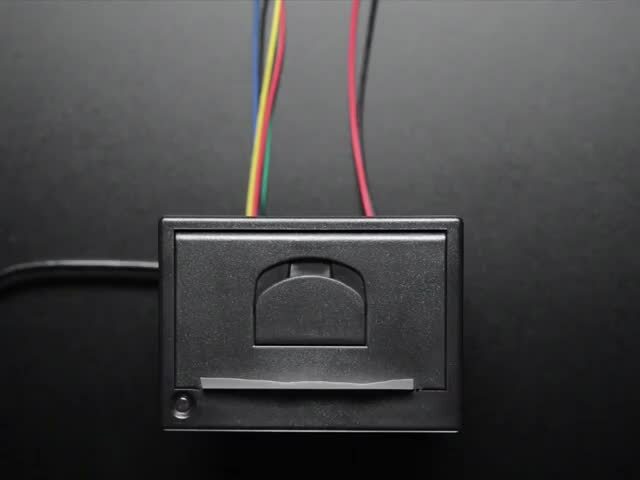 The transmit/receive lines will cross: the TX pin on the printer connects to RXD on the Pi, RX on the printer to TXD on the Pi. If using the “Mini” Thermal Receipt Printer, the data plug from the printer can fit directly over these pins. Handy! 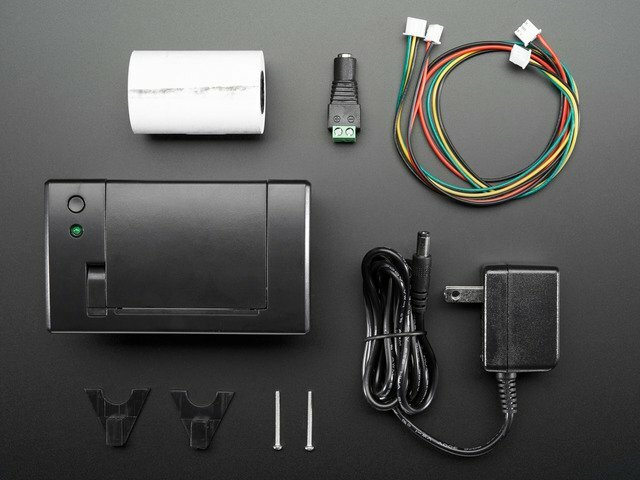 The “Tiny” and “Nano” printers (and “Printer Guts”) have a single 5-pin connector for power and data. Use something like F-M jumper wires or a Pi Cobbler and breadboard to make these connections. 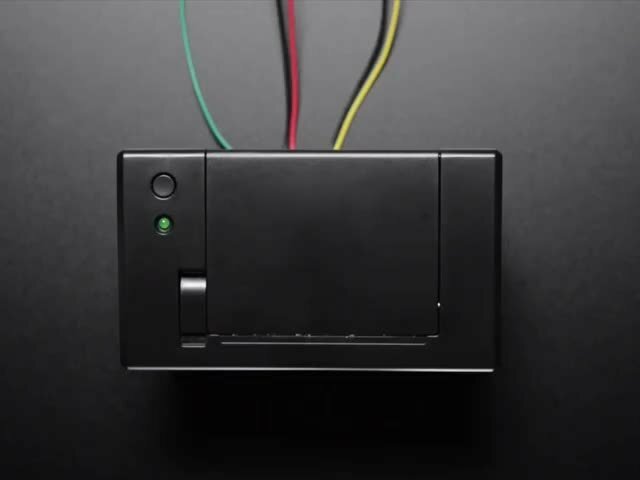 You’ll also need to split GND from the power supply to both the printer and the Pi GND pin. The “Tiny” printer also features USB — that’s much easier if you have a port available! It’s perfectly safe to connect the TX/RX directly to the Raspberry Pi GPIO pins. Though these printers are sometimes called “5V TTL,” in reality the controller logic all runs at 3.3 Volts…the inputs are simply 5 Volt tolerant so they can work with Arduino and similar. If using a TTL printer and it starts printing a bunch of junk, disconnect power immediately! Return to the raspi-config utility and disable the serial console, then reboot. Look for the baud rate that’s printed near the bottom of the page. This is typically either 9600 or 19200 baud. This is important…you’ll need to know the correct value for your printer later. If your printer outputs only gibberish: check the baud rate and try again. Substitute 9600 or 19200 as needed. Sometimes there’s a little bit of gibberish at the start of the first line printed; some residue in the serial buffer. This won’t happen on subsequent lines or after we’re done fully configuring the printer. Is the printer connected to a 5V power source, 2A or larger? You should see an occasional LED blink from the printer. 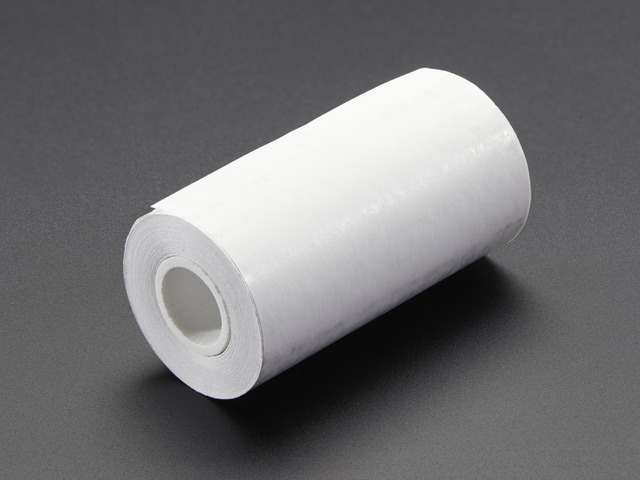 Is thermal paper installed in the bay? For TTL printers: are the TX/RX pins connected between Pi and printer, and do they cross? (i.e. TX on printer should go to RXD on Pi.) Is GND connected between printer and Pi? Once the printer passes the above basic test, it’s time to move on to software. Though not unusually large (about 75 MB total), there are many small pieces to process. This could take about 30 minutes to install, so you might want to go mow the lawn or something. Now we’ll switch over to using the GUI for the rest. From the Pi menu, select Preferences→Print Settings. If the “Print Settings” menu option is not present, the ZJ-58 CUPS filter didn’t install. Check the above steps and try again. For a USB printer: you should see “USB Serial Port #1” in the Devices list. Highlight that item (not Serial Port #1, but “USB Serial Port #1” specifically), select the correct baud rate, then click the “Forward” button. For TTL printers: If “Serial Port #1” is present, select that and set the baud rate. Otherwise (slightly older Raspbian OS), highlight “Enter URI” in the Devices list. Then in the device URI field, type “serial:/dev/serial0?baud=19200” (or 9600) (and might be “ttyAMA0” instead of “serial0”, depending on commands tested earlier). The device name is case-sensitive, so get this exactly right! Click the “Forward” button. On the next form, click “Select printer from database,” then scroll to the very bottom of the list and select “Zijiang” — this is a brand of thermal printer that happens to use the same command set. Set “Feed distance after print” to “feed 12mm,” then click OK. Your mileage may vary; if you want more or less paper feed after each print, this is where you’ll find it later. After clicking “OK,” the printer should now fully work with the Raspberry Pi via the “lp” or “lpr” services. This should print the “This is a test.” string again…but unlike the first test, you’ll notice this one isn’t using the printer’s internal font…it’s actually rasterizing the text and we can tweak settings such as size. “-o fit-to-page” is important — most graphics, if printed “actual-size,” would print just a narrow strip cropped from the left side. Most raster formats are supported, and for vector there’s PDF. SVG is not directly supported. If you try to print an SVG file, you’ll see a bunch of text instead! You can use the LibreOffice Draw application included with Raspbian Jessie to open SVG files and save them as PDF for printing. The Raspberry Pi logo shown is from a raster PNG file, you can see it’s a bit “dithery.” The dragon was an SVG file converted to PDF…this uses better halftoning and is amazingly sharp. CUPS is a complex system way beyond the scope of this guide (there are entire books on the subject), but the CUPS web site explains some command-line options to get you started. In the “Policies” section, make sure “Shared” is checked, then click OK. Check the “Publish shared printers connected to this system” box, then click OK. 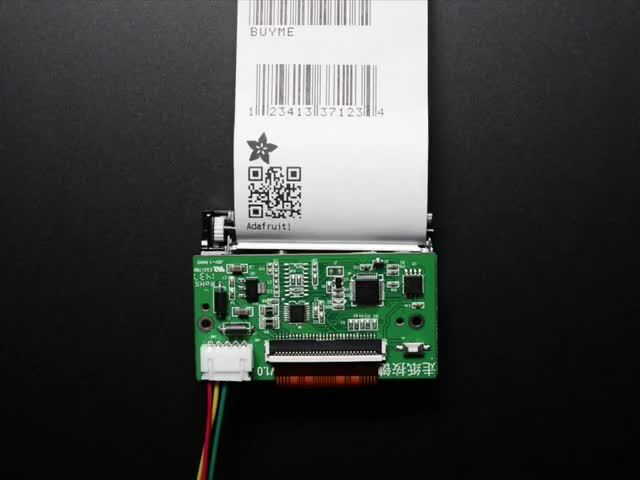 The printer is now accessible to other systems…even non-Linux computers running Windows or Mac OS X.
It’s then possible to print to the thermal printer from any application. Due to the peculiar media size, this will require some trial and error and experimentation. Though the media size is described as “58mm” wide, the actual imageable area is more like 48mm. If you try to print any “normal size” artwork, or if Media Size is set to “Letter,” you’ll just get a narrow strip from the left edge of the page. This guide was first published on Apr 19, 2016. It was last updated on Apr 19, 2016. 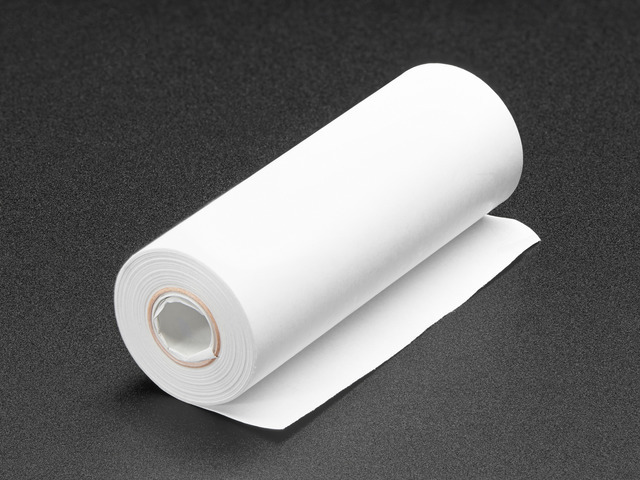 Thermal Paper Roll - 33' long, 2.25"
Thermal Paper Roll - 16' long, 2.25"